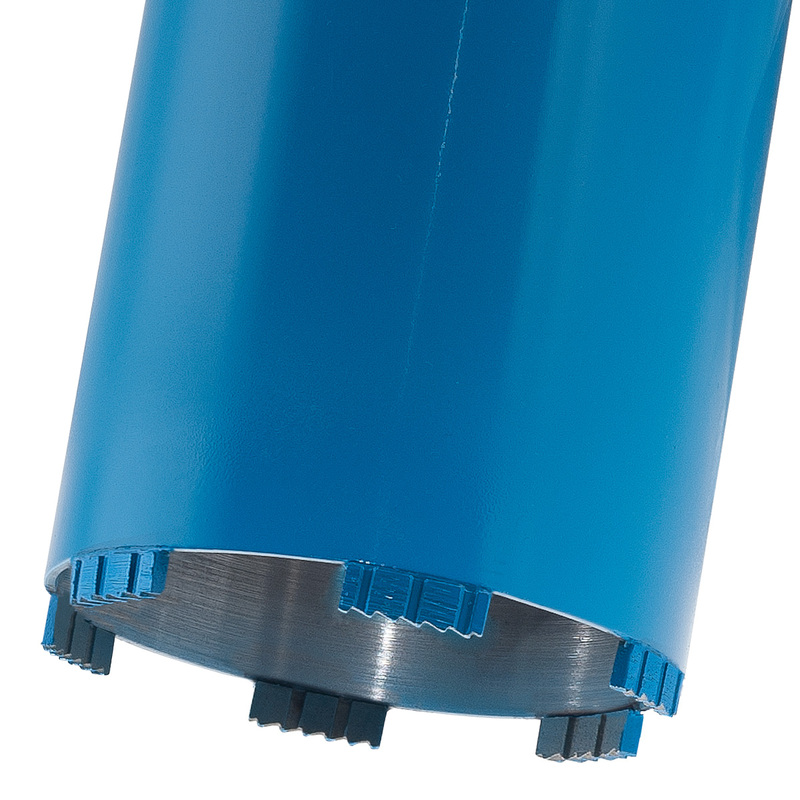 Designed for dry drilling with a system of dust suction. Even this model as the others in the dry range has been designed for the perforation of reinforced concrete without water. For hand-held machines, the use requires the accessory for the connection of a vacuum cleaner (see the accessories page). The available perforation length is 300 mm the overall width, attachment included is 370 mm. If necessary, it can also be used wet and drilling machines with direct 1” 1/4 M fitting.